Upon reception of an article, the Editorial Staff will screen the article for format and journal scope, originality and potential impact. If the article is not up to the standard format of Journal of Floriculture and Landscaping, the article will be returned to the author for correcting the format. If the format is according to the requirements of Journal of Floriculture and Landscaping, then it will be assigned for External Peer Review. During submission, the author can suggest at least 2 reviewers who can evaluate the manuscript. The reviewers should not be collaborators or previous co-authors of any of the submitting authors. They should be from another institution with institution email address. The editors may or may not contact the suggested reviewers. For details of Journal of Floriculture and Landscaping Policy on Open Access, please click here. For details of Journal of Floriculture and Landscaping Policy on Plagiarism, please click here. 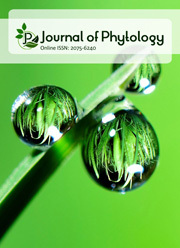 For details of Journal of Floriculture and Landscaping Policy on Article Retraction, please click here. For details of Journal of Floriculture and Landscaping Archiving Policy, please click here. The authors of papers, in which experiments on animal were conducted, should give a statement of certification that ..Experiments on animals were performed in accordance with the ethical guidelines and regulations set forth by .... [give Name of Institution/Committee of the country where experiments carried out].. and also should be in accordance with the internationally accepted principles for laboratory animal use and care. For a transparent nature of publishing process, all parties involved in the article should reveal any possible association which poses a conflict of interest in connection with the manuscript. Authors at the time of submission should declare the conflicts of interests in written statement. It is understood upon submission of an article, that the authors acknowledge the sources of funding and any related associations or assistance from any third parties related to the article. Reviewers are responsible for revealing any potential conflicts with the article in review, and it is strongly advised that, the reviewers should not consider them for review. If authors would like to include figures, tables, or text passages that have already been published in any other online/print publication, in their article, they should take written permission from previous publisher/author before article submission to Journal of Floriculture and Landscaping. The authors should submit this letter along with manuscript submission. The material received without written permission will be assumed to originate from the authors Journal of Floriculture and Landscaping will not be responsible for any future consequences. For any types of complaints please contact through email for quick response. The complaints will be acknowledged and the resolution will be conveyed to the complainant. All complaints will be resolved as quickly as possible and in consultation with the concerned journal editors. This journal is completely FREE OF CHARGE. There are NO article processing, handling and publication fees. The names and email addresses entered in Journal of Floriculture and Landscaping website will be used exclusively for the stated purposes of Journal of Floriculture and Landscaping and will not be made available for any other purpose or to any other party.